Sourav Ganguly has backed Shikhar Dhawan to shine for India at this year's World Cup following his blistering knock for Delhi Capitals against Kolkata Knight Riders in the Indian Premier League. 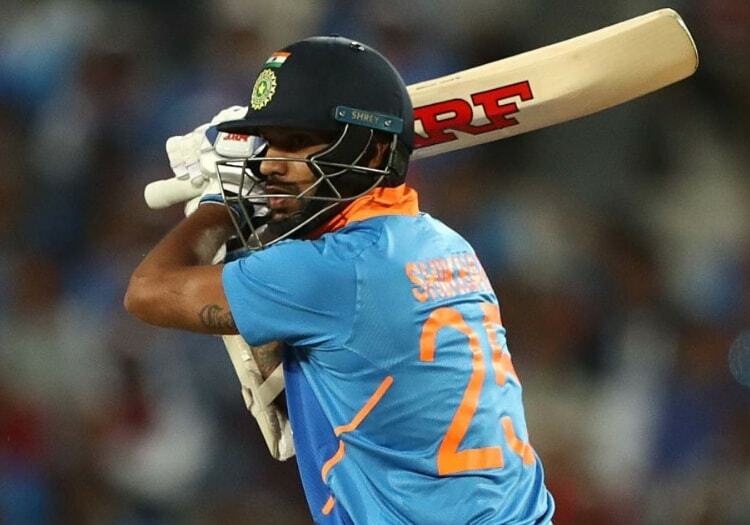 Dhawan smashed 97 not out from 63 balls to lead his franchise to a comfortable seven-wicket victory on Friday, sparking substantial praise from the former India captain. Ganguly listed the opening batsman as one of the world's best in the 50-over format, and predicted him to make a major impact in England. "The three best players in one-day cricket — Dhawan, Rohit, Virat,” Ganguly told the IPL website. "When he (Dhawan) gets set and gets in he’s unstoppable. "All I expect from him is determination. When he is determined, no bowler in the world can stop him. "If he gets set, he takes the game away. This is how he plays for India. He’s a class act."